AHAHAHA… this is another look I came up with while playing dress up. plain white studded tshirt, old stripped long sleeved shirt. 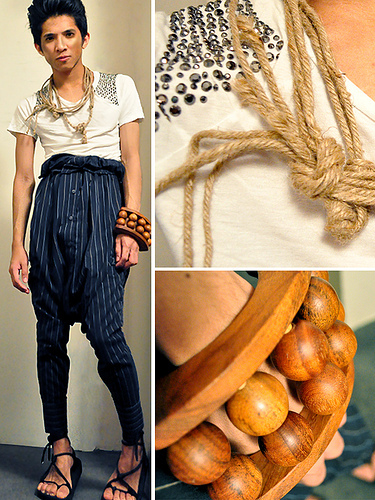 worn as pants, wooden roller massager as bangles. (i gota lol on that) and another virtual make up… as we all know, I know nothing about make up. I did my hair tho. AHAHaa.. 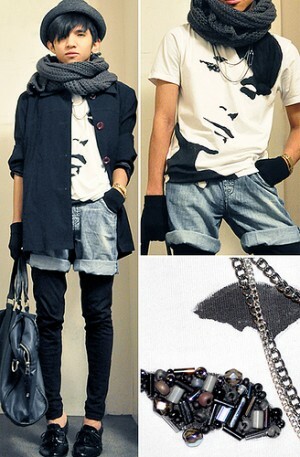 VERY interesting silhouette on the shirt-pants. no? A little crazy but clearly genius, I am impressed.